for $479,000 with 2 bedrooms and 2 full baths. This 1,456 square foot condo was built in 2003 on a lot size of 0.04 Acre(s). 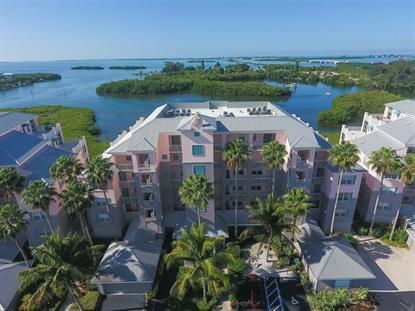 2 Bed, 2 bath, den and DOCK 30 with lift in Boca Vista Harbor! This condo has amazing views with an open dining and living space and screened waterfront lanai. The master bedroom has water views, a bathroom with dual sinks and walk in closet. The guest bedroom and second bath have a sliding door to create a private en-suite for guests. A dock with a 6, 000lb lift is included, and the community is located adjacent to Gasparilla Marina with fuel, service, supplies and restaurant. A garage is located under the building for easy access. The 7 mile Pioneer Trail is conveniently located across the street for walkers, runners and bikers! Boca Vista amenities include a gated entrance, heated pool and spa, and tennis court. Located 5 minutes from Boca Grande and its beautiful beaches, restaurants and shopping!